After 65 years of marriage, my parents made the decision to “right-size” and transition to an assisted living residence here in Atlanta. That was in 2013. I was able to help them research possible locations, sort through decades of memories and belongings, pack up, move and settle into their new home. It was emotional, to say the least, and very time consuming… especially since I was working full-time and caring for a family of my own. When my Father passed away, Mom and I felt we needed to be together to comfort each other, so Mom came to live with me. Another move. It was wonderful having her so close, but once I began working full time again, Mom was alone all day. She has since returned to assisted living, her lifestyle, her friends and the love and care she receives there is just what she needs. As a family we went through the same challenges that you are now facing. The thought of moving can be so overwhelming for the entire family that you simply cannot fathom where to even begin this daunting, emotional process. I do not know what my parents would have done if I were not able to help as I did. My brother lived in California and was not able to physically be here. My parents were approaching their 90’s at the time. How on Earth could they have done all of that work on their own? I soon realized there was a need for this specialized service. We certainly were not the only family that had children living far away, or nearby but consumed with children, careers or health issues of their own. And what about seniors who may not have children? Who would help them? 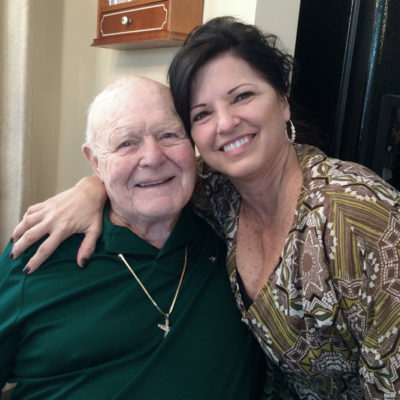 I was catching up with a dear friend and she, too, was facing helping her parents move to a retirement home. 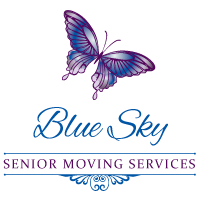 She was overwhelmed… and that’s when Blue Sky Senior Moving Services began.